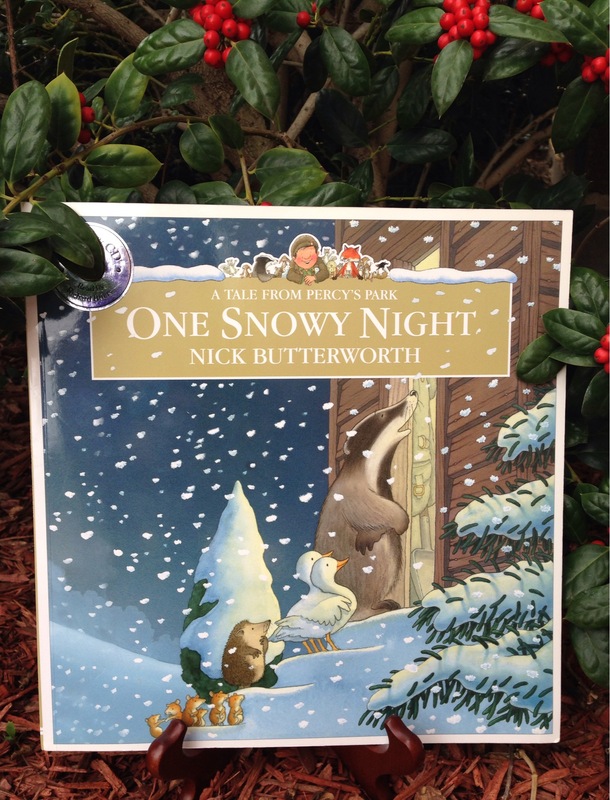 Featured Friend: One Snowy Night by Nick Butterworth is a family favorite, especially during these final days of winter. This story will carry you from the cold, lovely winter forest to a cozy cabin that fills up with cute creatures. 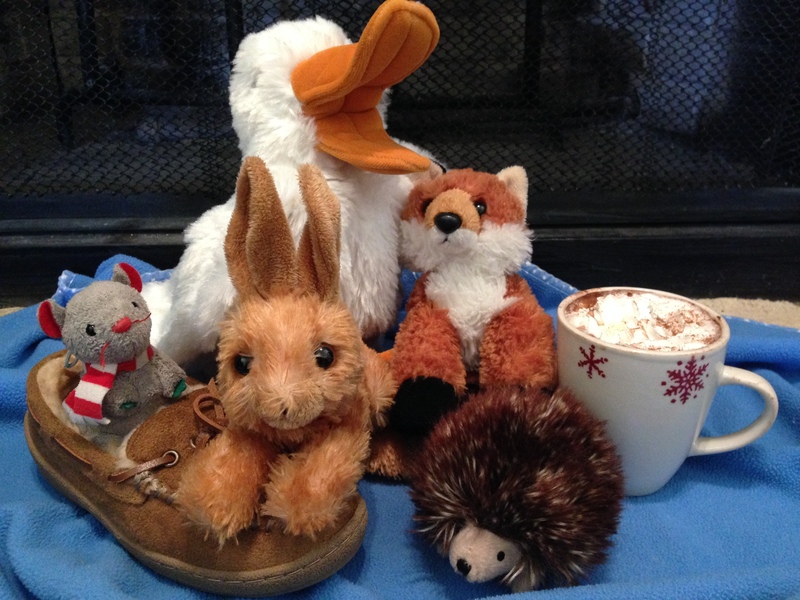 Grab some hot chocolate, an oversized blanket to fit the family, and read this story together. Percy’s friends, the forest animals, know him well as he often shares his lunch with them. One night when it gets so cold that it snows, the animals wonder if he will share his hut with them too. Knock after knock, Percy welcomes the little creatures into his bed, until his bed just won’t hold another animal. See how this problem is solved after a mysterious noise from the floorboards frighten Percy’s furry friends. . .
Interacting with the Story: My kids enjoy getting stuffed animals that look like characters from their favorite books. Because this story has some of the cutest illustrations, they enjoy gathering their stuffed animals to read along too. Most likely, your children will already have some stuffed animals that will go along with this story. Tell them to grab all the animals they have that may be in a forest, and as you read the story, see if any of their selections appear in the book! Please subscribe to this blog as the next post will reveal what is under Percy’s floorboards & give you some more activities to incorporate while reading this book! This entry was posted in winter and tagged children's book, forest animals, Nick Butterworth, park ranger, snow, winter. Bookmark the permalink.